Wing-Off brother Adam Poch and his wife recently brought a beautiful baby girl into the world. Prior to her arrival, his wife threw a baby shower, so guess what the guys did? WING-OFF!! 10th and Willow is a neighborhood bar. That’s really the best way to describe it. It’s the kind of place you go to for an after work drink, to watch a football game or to get together with people in your hood. It’s a friendly spot with some beer, drinks, and a menu that includes, no surprise, chicken wings. 10th & Willow has three kinds of wings: hot, bbq & teriyaki. What’s great about what they do is you can order any of three you like or they offer them as a combo platter. 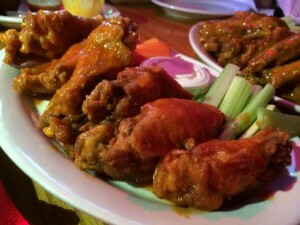 So we did what any red-blooded wing lover would do, 3 orders of all 3! 10th & Willow makes a really solid wing. They’re crunchy, juicy and well sauced. It’s exactly what you want from a neighborhood bar. All three were good but the consensus was that teriyaki was the winner of the bunch. Willie McBride’s Pub and Restaurant is a family-owned and operated business run by by husband and wife team, Sean and Maura Hession, and their Daughter’s Chloe & Dara. It’s a great Irish pub with good food, good drinks and always a big energy. They have a huge backroom which is great for parties or for shooting TV shows like “Big Brother” on CBS. They also have 28 large HD TVs which is great for watching said episode of Big Brother or any sports game. Adam used to host a trivia night here and it’s favorite hang out spot of the Wing-Off crew. Why it took us 26 Wing-Offs to get here, no idea, but it was long overdue! 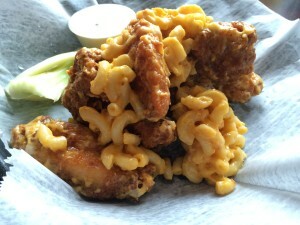 Willie McBride offers jumbo-sized Wings or boneless tenders. You can order them in a variety of sauces or rubs. After much debate, because selection is important in these things, we are professionals you know, we zeroed in on 3 and decided to go with only sauced Wings. In the front are regular Buffalo, behind them are Habanero Dragon Fire and to the back, Sriracha Thai Chili. The Wings at Willie McBride’s are no joke. Some might argue it’s the best thing on their menu, but we aren’t here to debate that. 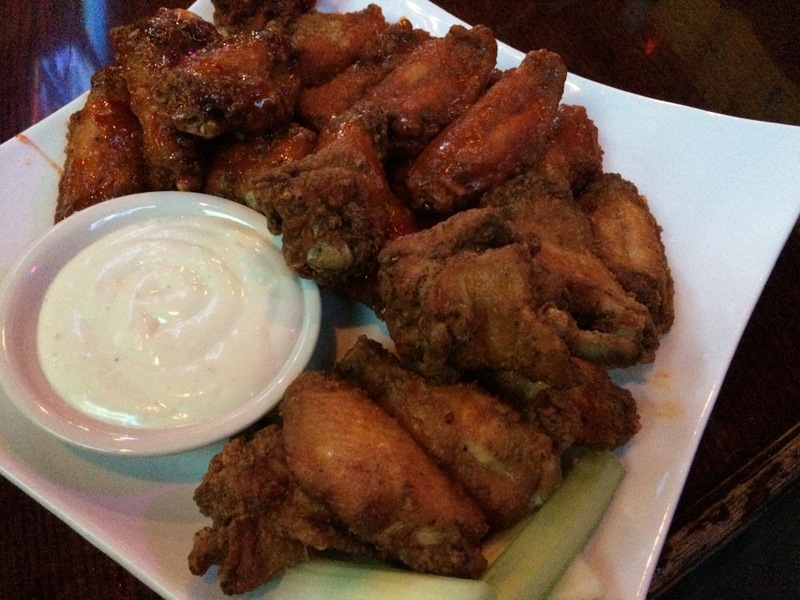 The Wings have a nice crunchy texture to the skin and are juicy in the middle, just how they are supposed to be. 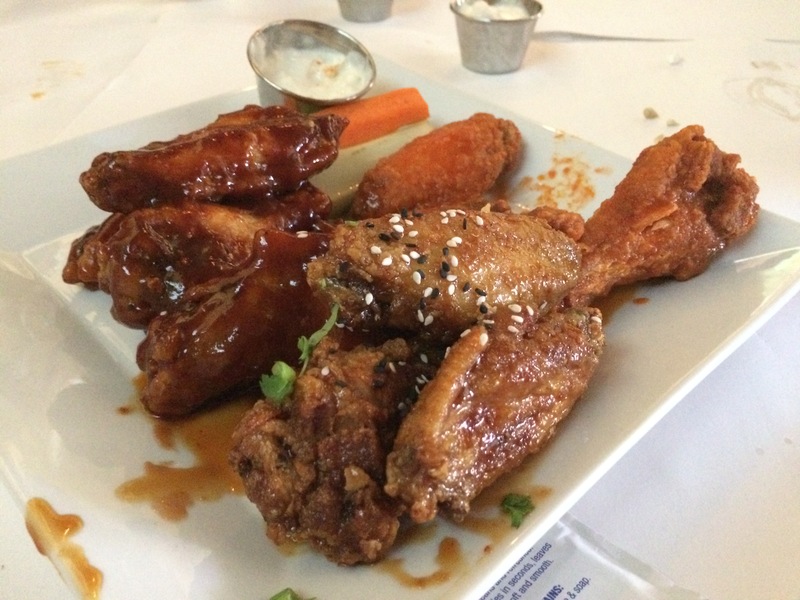 The Wing sauces are bold, pronounced and flavorful. They were all good but the crowd pleaser were the Sriracha Thai Chili. They’re worth the trip alone. WING-OFF 26 OFFICIAL WINNER – WILLIE MCBRIDE’S! Eating Chicken Wings at either of these places will deliver the goods and seeing that they are walking distance from each other, you should just try them both! Declaring a winner in these contests can be taken the wrong way. We only eat the best of the best wings out there. 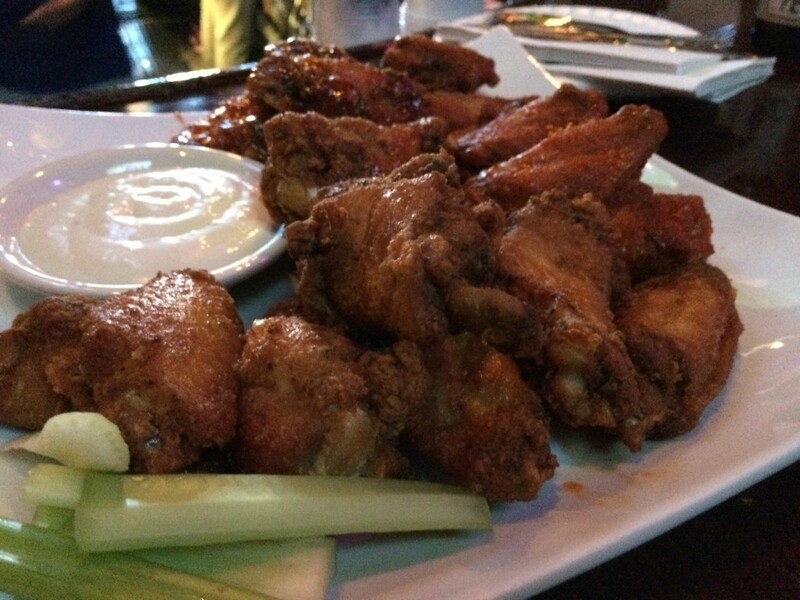 If by chance we eat some wings that truly are terrible, we wouldn’t post about them. We wouldn’t share that experience with you. The Wing-Off is about discovering the absolute most tasty and wonderful wings out there and helping people to find them. Declaring a winner is just something we do because it makes it a little more fun.